The Imagination Network is a groundbreaking collaboration between artists, Deer Crossing the Art Farm, health care professionals, The Good Samaritan Society, and academia, Douglas College, to redefine how we engage with aging. While the impact of dementia continues to grow in our lives and communities, and research accelerates to match this impact, the voices of those individuals—their thoughts, stories, and ideas—fade into the background. Inspired by TimeSlips—a story creation process that replaces the pressure to remember with the freedom to imagine—The Imagination Network brings people with dementia together with artists and community members to create powerful and inspiring works of art. In the emerging field of dementia advocacy, one of its leading voices Kate Swaffer—living through the experience of dementia herself—has coined the term “prescribed disengagement”; once a person has been diagnosed with the illness, they are encouraged to disengage from regular society, to prepare for the inevitable decline in their cognitive abilities. Kate Swaffer challenges this line of thinking and encourages people to instead re-invest in their lives and communities. The Imagination Network believes that a person with the lived experience of dementia is still creative, still has an important story to tell, and still has valuable contributions to make to our world and communities. To raise $20,000 towards the creation of a theatrical production that is co-written, co-produced and co-performed by people with dementia in collaboration with professional artists, care givers, and community members. Donate to the Deer Crossing the Art Farm Fund at Tides Canada and your donation will be directed to charities (such as The Good Samaritan Society) who support our mission. Donors will receive a tax receipt. Email us to learn more. Raising the Curtain is a ground-breaking three-year project with an end goal to create a theatrical production that is co-written, co-designed and co-performed by people with dementia in collaboration with professional artists, care givers, and community members. The project involves an in-depth collaboration process between artists, researchers, and individuals with the lived experience of dementia that touches on all elements of theatre production. In September of 2017 we began meeting once weekly with a team of researchers from Douglas Collage and 5 participants living with the early stages of dementia. At our first meeting we lead a focus group discussion and chose themes that were relevant and important to participants. Each Monday following we would lead a 3-hour creative workshop and discussion on one of the chosen themes in a new medium each week. It was a true collaboration between science, arts, healthcare, and our incredible participants with the lived experience of dementia. We learned so much in this process. 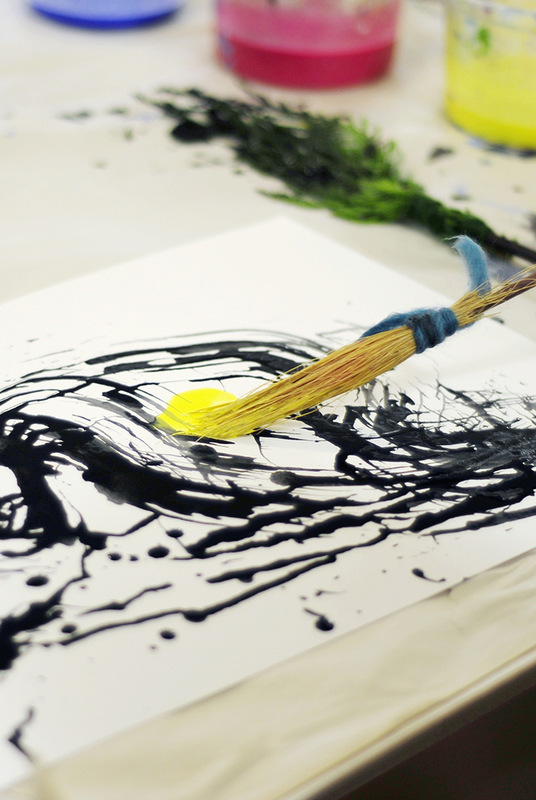 In this initial round of workshops we explored with the mediums mark making, sculpture, sound, theatre arts, and photography. Conversations and reflections were recorded by students from Douglas Collage. The next step in the process was to analyze these transcripts. This process involved members from all areas of the project. Powerful quotations collected in the first round of workshops were categorized by topic and this gave us such rich material to explore with our participants. In 2018 we facilitated two more series of workshops using these quotes through the mediums of shadow theatre, theme development, script writing, sound design, choreography and theatre production. We believe that amplifying the voice of people with dementia, and bringing it to the forefront will transform our perception of, interaction with and relationship to aging. 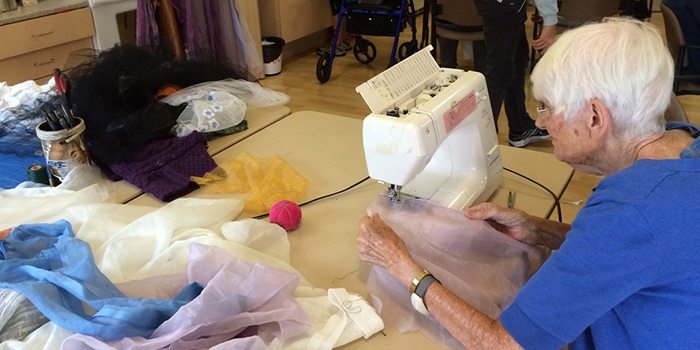 Raising the Curtain will foster engagement and provide meaningful connections between people with dementia, caregivers and the broader community. 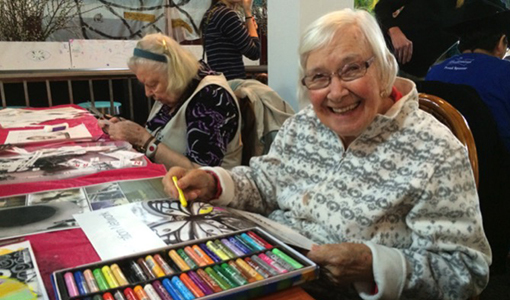 Over the past two years, The Imagination Network collaborated with people with dementia on two creative engagement initiatives: the 2015 Sunshine Coast Art Crawl and the 2016 Sunnycrest Mall Pop-Up Art Studio. For these projects, the Art Farm hosted a series of creative workshops that explored collage, painting, textiles, sculpture, shadow puppetry, spoken-word, music, and theatre. 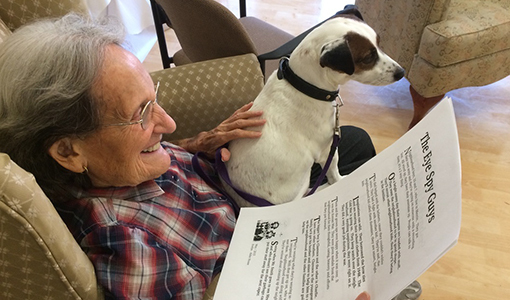 Youth, children and the broader community were invited to participate and engage with people with dementia to produce and showcase original works of art. These projects broadened our understanding of the power of community engaged arts. You can learn more on The Imagination Network blog. Your support will be used to pay for professional artists (the playwright, choreographer, sound designers, visual artists, performers, and facilitators) and recreational therapists to engage creatively with people living with the experience of dementia and co-create a powerful theatrical production. Raising the Curtain will be based on the Sunshine Coast, BC and will occur over a two-year period. The Imagination Network has already received funding support for this next phase from Canada Council for the Arts, BC Arts Council, Sunshine Coast Community Foundation, Vancouver Foundation, Town of Gibsons, Sunshine Coast Regional District, and private donors. Special thanks to our Imagination Network partners, sponsors and funders.